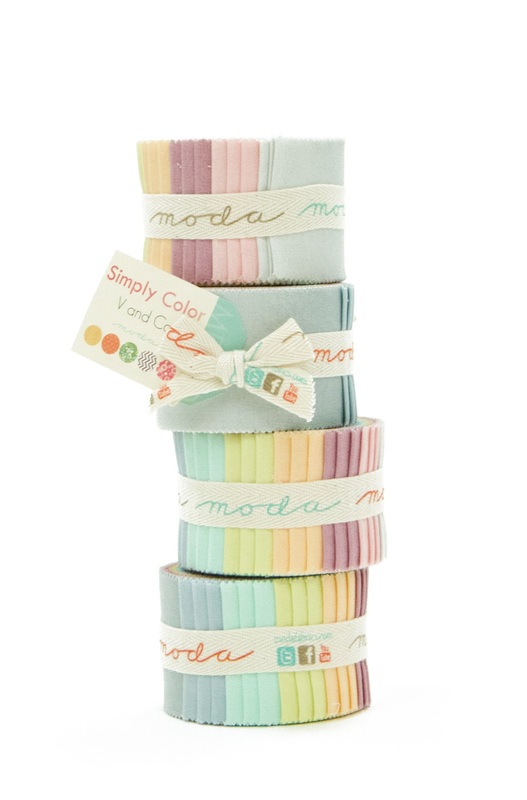 What can you make with a Moda Charm pack, a moda candy and a few yards of bella solids? 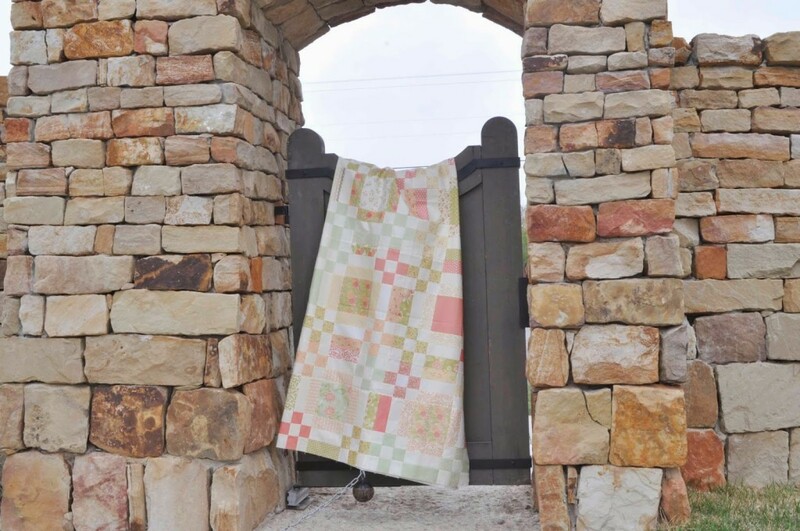 I am pulling this blog post out of my draft section because I share a free little pattern download at the bottom of the post but also wanted to share the incredible quilting. 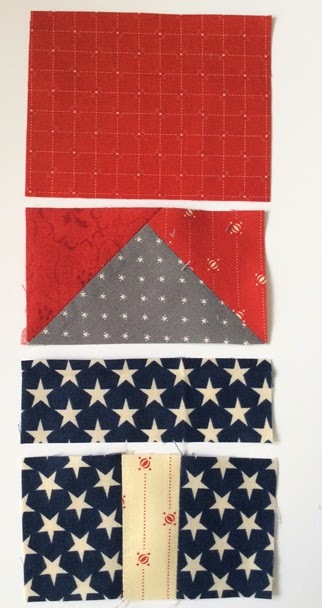 A charm pack (42-5″ squares) and a mini charm pack (42-2 1/2″ squares) So easy. 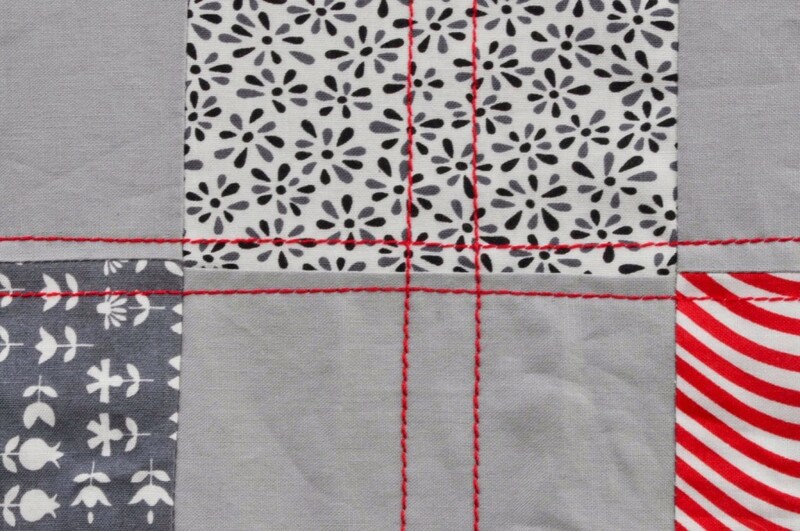 Start sewing with the precuts to make a quick project during balancing all the summer schedules. Plenty of room for autographs for a family reunion project. Hope everyone is enjoying the beginning of summer. Here in Texas the heat and humidity has hit us. If you want the pattern, click here for a free download. Pattern includes a larger version that uses 2 charm packs and 2 mini charms. I would love to see what you make. Share your pic on FB or IG and tag me, @modalissa. I recently posted a picture of this quilt on my Instagram because I love it. the good pics, I remembered it was featured in the April May 2013 QUILT magazine. So here are their nice styled, color corrected pictures from 2013. 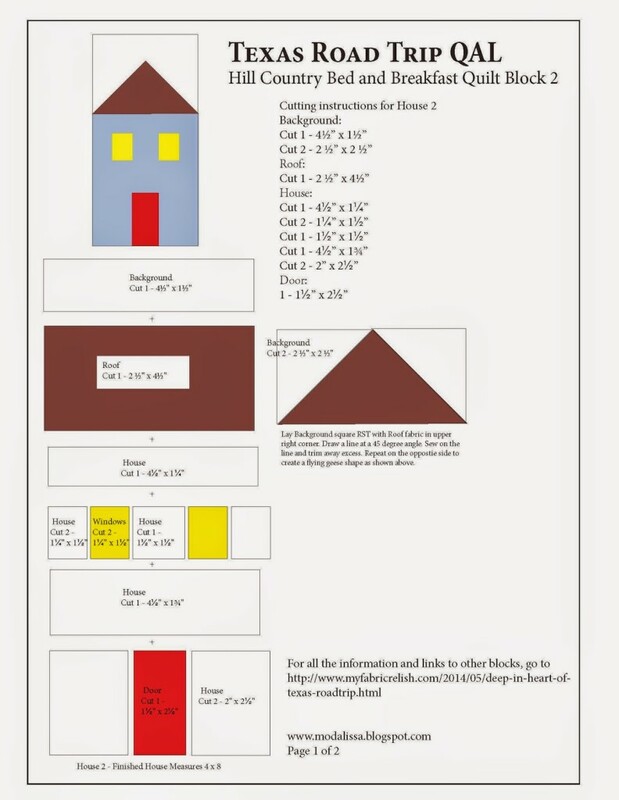 And here are the details if you want to make your own version using Bella solids. A fat quarter of each. or just a combination of all your funky favorite fabrics as a scrap buster! 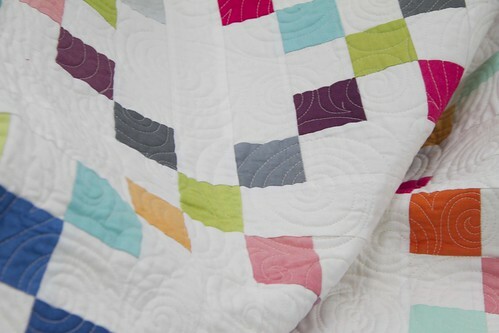 I shot a pic of the quilt with my Iphone as I zipped by the quilt laying on an unmade bed at my sons house. The quilt looked even better washed and used. I love it when a quilt has been put to good use. Tag me if you make a version of this quilt. I would love to see it. Here is the pattern for your use. 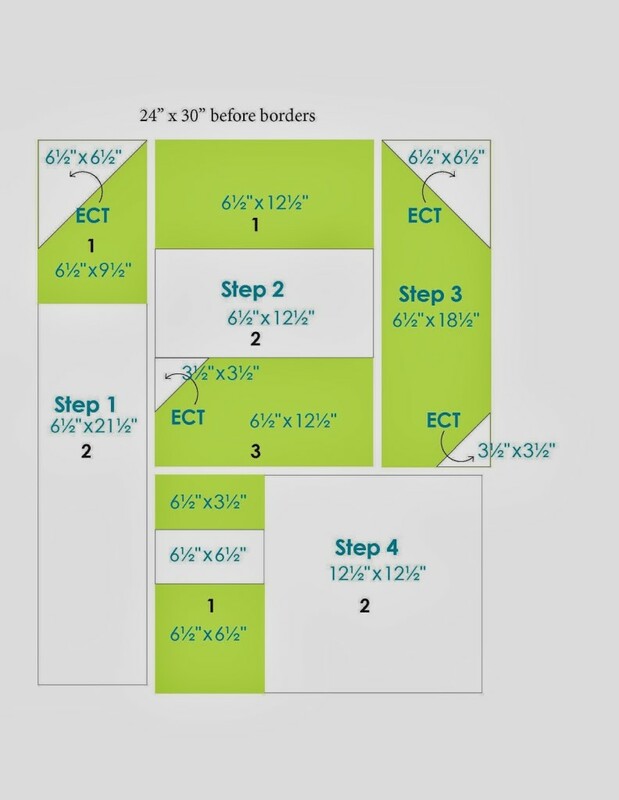 What draws you to a quilt pattern? 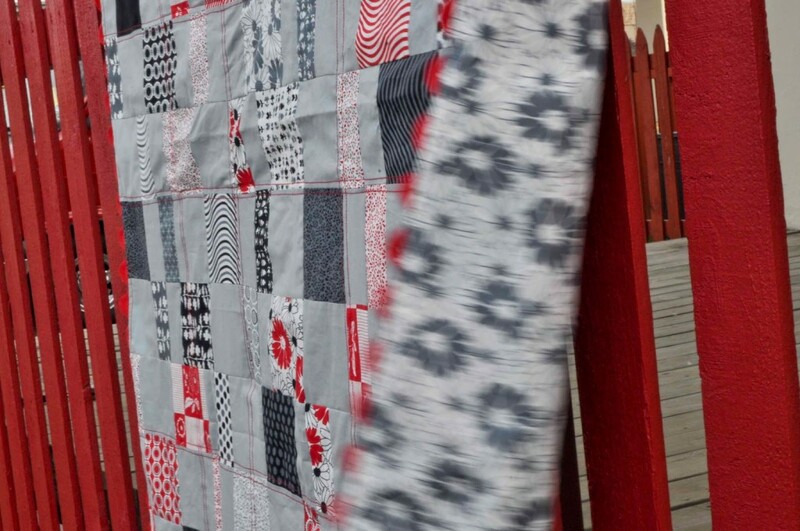 I have wanted to make a certain quilt from the Moda bake shop forever. Well to tell the truth I have several of the patterns printed and waiting in the wings to make but this one was calling my name. I dove right in. 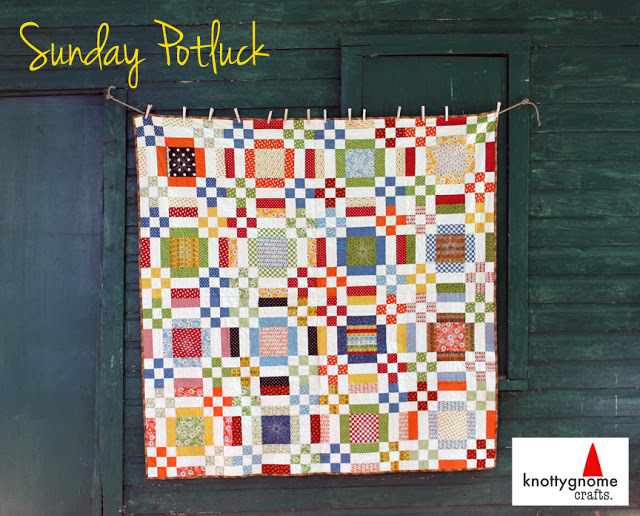 The pattern is Sunday Potluck by KnottyGnome Crafts. 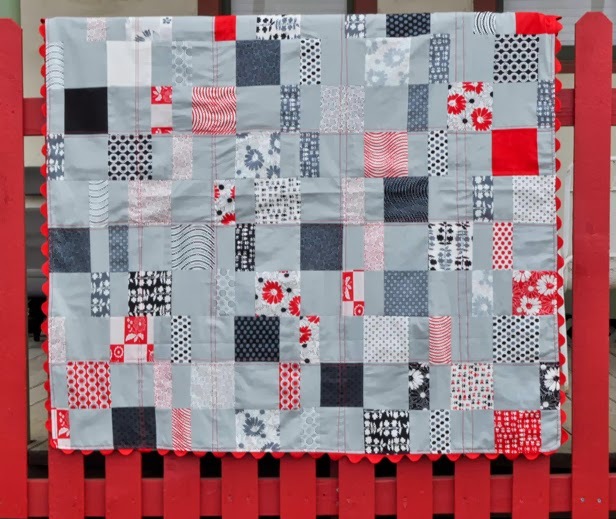 This quilt was faetured on the Moda Bake shop in September 2013. I loved how classic retro the fabrics were and it looked prefect for a Sunday picnic. 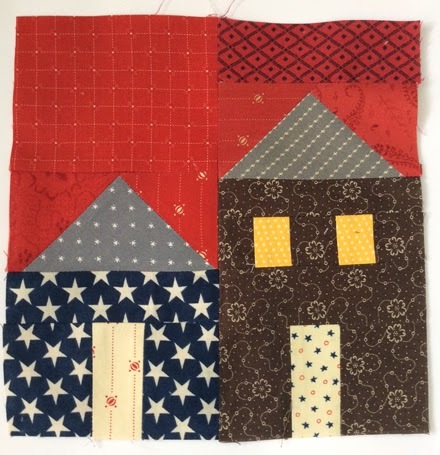 I planned on making it using the American Jane collection, but I ended up using those fabrics for another project. 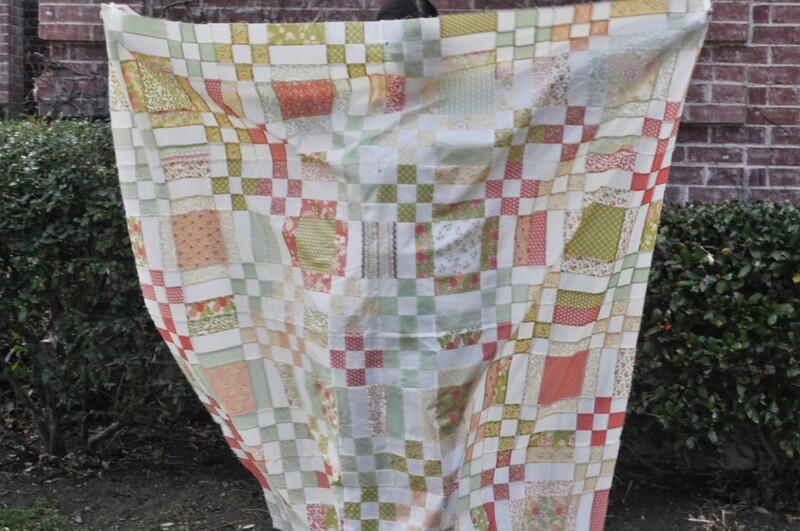 So I had a Fig Tree and Co layer cake and wondered how different the quilt would look. Same pattern, two completely different looks. 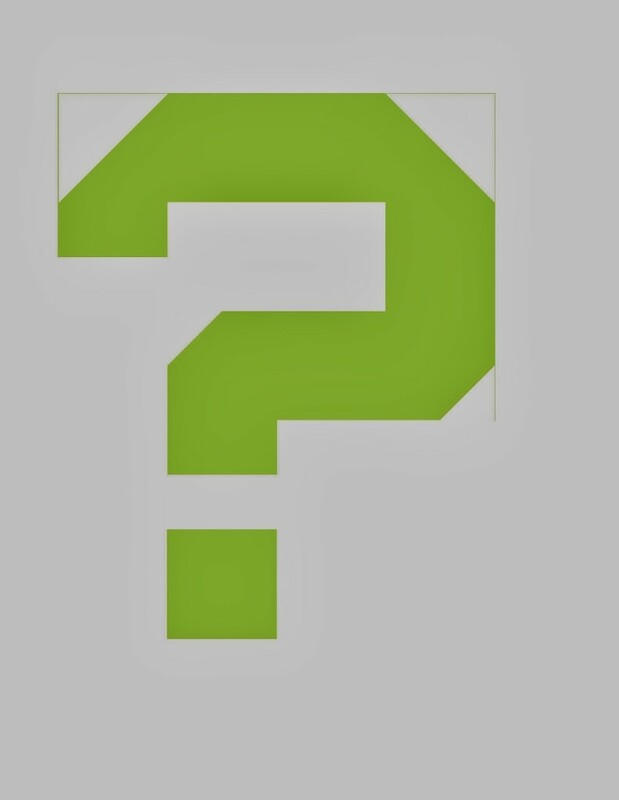 what is your favorite way to change up patterns? SIDE NOTE: This is a good reason to not try and take a picture on a windy day while your daughter is trying to hide behind the quilt top. My daughter will kill me if she sees this and probably never hold a quilt top for me again. I love love love this new fabric from Me and My Sister. I don’t know why I love it but I just do. Maybe because it was so different for them. Is it retro, is it modern? Some of the prints look like vintage sheets, some are graphic, but each of the prints are down right adorable. I knew I wanted to play with these fabrics but had to no idea what to make. So when the Charm Pack Cherry project came along, I took it as my challenge. 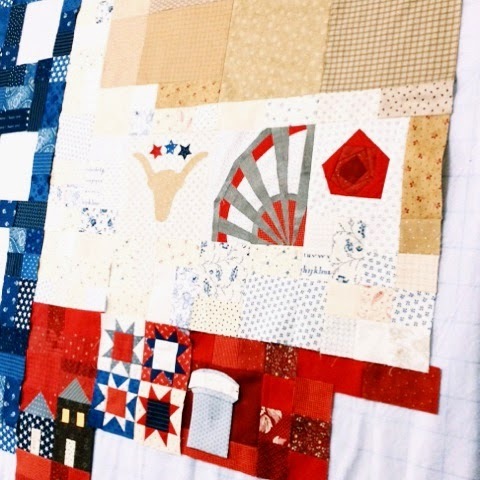 I have a niece that is studying graphic design at Texas Tech University, so I thought this would be a prefect quilt for me to make for her. Their school colors and red and black. 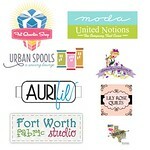 Of course having a deadline did not hurt either, so here are the details. Download your copy of the Charm Pack Cherry pattern, here. 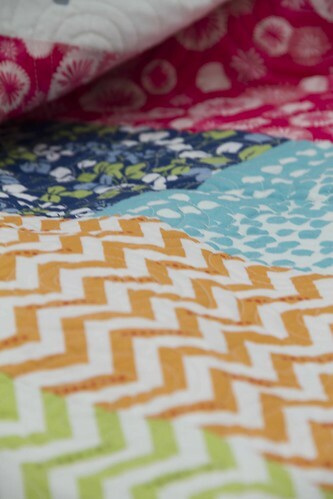 All it takes is 2 print charm packs and 2 solids to make this fun project. I decided to make my version as a picnic blanket or a throw that my niece can keep bundled up in the car. I used flannel instead of batting.Windy windy day! 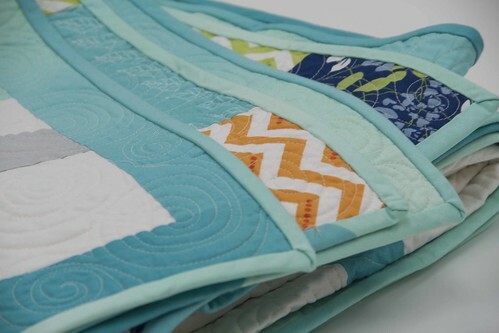 I did some straight line quilting with Aurifil wool thread. This thread works great on my machine. All I had to do was use a size a top-stitching needle. I love the simple added texture the thicker thread gives to this project. How I thought of picnic I knew that I had to use big jumbo ric rac instead of binding. 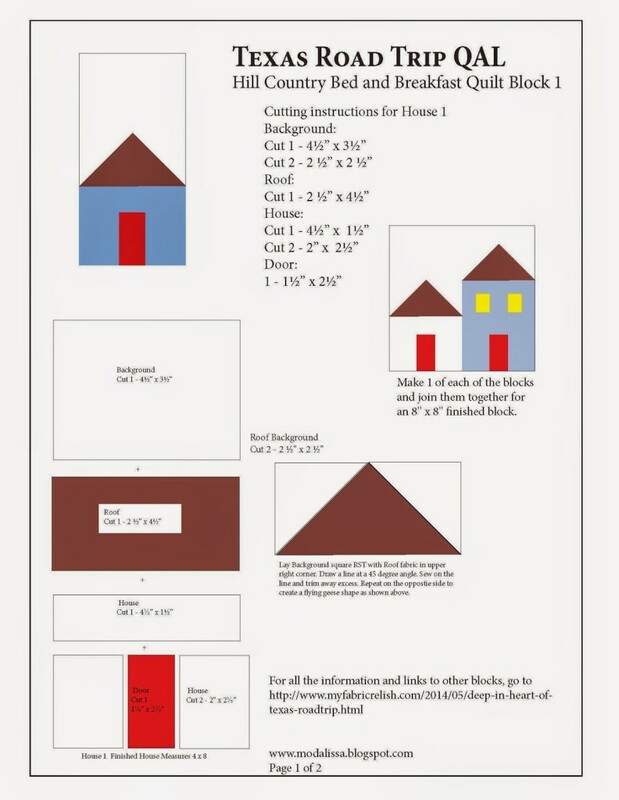 Here is the video showing how quick and easy this project is to put together. No matter how you lay out the charms the project turns out different each time. It is like one of those slice and dice type projects.That is what makes the project so interesting. by the way, the fabric line is Weeds and it will be in stores in May.